She graduated one of the most prestigious medical schools in Romania, Faculty of Medicine Babes-Bolially in Tg. Mures in 1986 and completed the residency program in the same in 1994. In 1998 became consultant. Since residency she was recruited and worked as medical researcher and later as assistant professor for the faculty of medicine Victor Papillian in Sibiu, Romania. 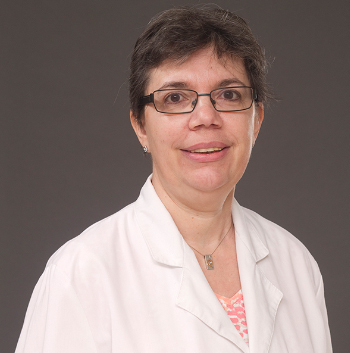 Prior coming to UAE, Dr. Teodora gained a vast experience in both gynecology and obstetrics working in academic, referral hospitals in Romania and Amsterdam (Holland). In 2008 was included in the GMS Specialist Register UK. Since 2004, she has been practicing obstetrics and gynecology in UAE, being a consultant in Tawam, Al Ain and Al Corniche Hospital in Abu Dhabi. She was member of Ob/Gyn Council and Physician Advisory Committee in SEHA and had actively contributed in the formulation of guidelines and system improving programs. The academic and teaching experience was continued here as well as she was the OB/Gyn residency program director in Al Ain Hospital and honorary Assistant Professor with College of Medicine and Health Sciences, UAE University. Dr. Teodora is a dedicated clinician, practicing evidence-based medicine with huge respect for patients and their families.